July 1 is a day where around the world, new Rotary Presidents are taking on their appointed leadership role. Today was no different for Monrovia Rotarian Bryan Earll. 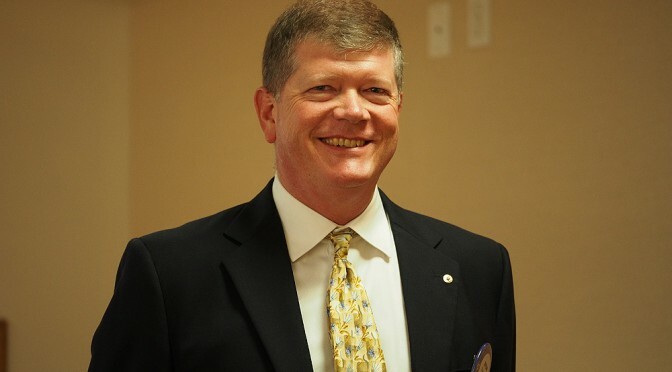 Bryan Earll, Monrovia Rotary’s 95th President, is the current President and Owner of Apex Fasteners located in Monrovia, CA and is also a resident of Monrovia with his wife Sarah Earll. He has worked in the Fastener Industry for 26 years. Establish a strategic plan and vision for our club moving forward.